Our Hella fans? Not Canadian. They used to be German, but they are now made in China, and the Hella fans we recently purchased simply don't compare to their predecessors, which lasted for over 20 years. The new Hella fans rattle, have flimsy switches, and are in general undeserving of the Hella name. But back to Canada. After our disappointing experience with the new Hella fans, we tried out the Canadian-built competitor--the Caframo Bora, and the Boras are fantastic--whisper quiet, no rattles, and overall a high-quality product. They also install in the same mounts as the Hella fans, so a very easy upgrade. And, after our positive experience with the Bora fans, we went ahead and bought two waterproof Caframo Kona fans for the cockpit. We are now Caframo converts. Our newest Canadian addition is a new holding-tank vent filter. Only our most dedicated readers will remember this post, which describes our new (at the time) holding-tank vent filter. As it turned out, that particular filter (from the U.S.) wasn't as great as expected. The entire filter needed to be replaced every year (and they are expensive), and the filters easily clogged, which can damage the holding tank (and there is no boat problem I fear more than a broken holding tank.) After a few of those, I decided to find something better...enter Canada's own Big Orange Holding Tank "Odour" Filter. 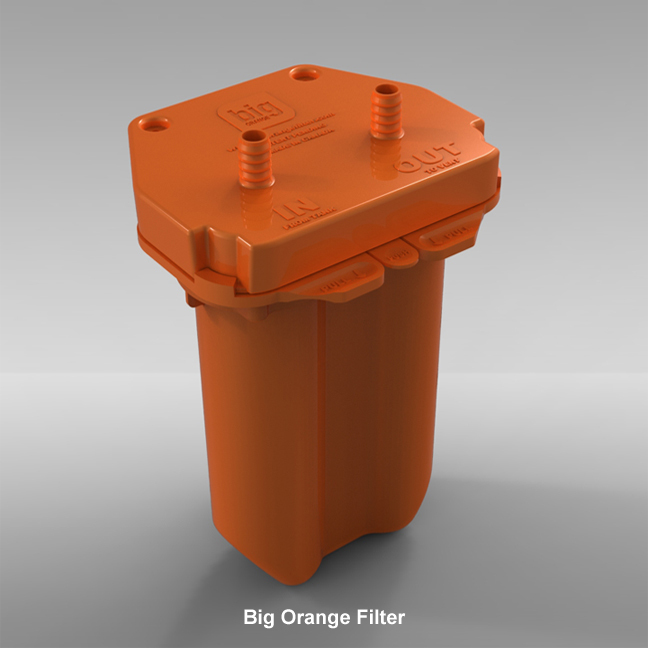 The Big Orange filter is refillable at a very reasonable cost and has a special bypass valve that protects the holding tank if the filter ever becomes clogged. It costs slightly more than the American filter it replaced, but it will pay for itself the first time it needs to be refilled. Another win for Canada.